Just before leaving for my trip to New England I discovered the existence of an organisation that sounded like just my cup of tea: Historic New England. A close study of the website lead me to list 3 properties within easy reach of places where I’d be staying AND that would be open on a day or days when I would be able to visit. I was especially happy to discover an author’s home just a 30 minute drive from our lodgings (The Dunes on the Waterfront) in Ogunquit, Maine. 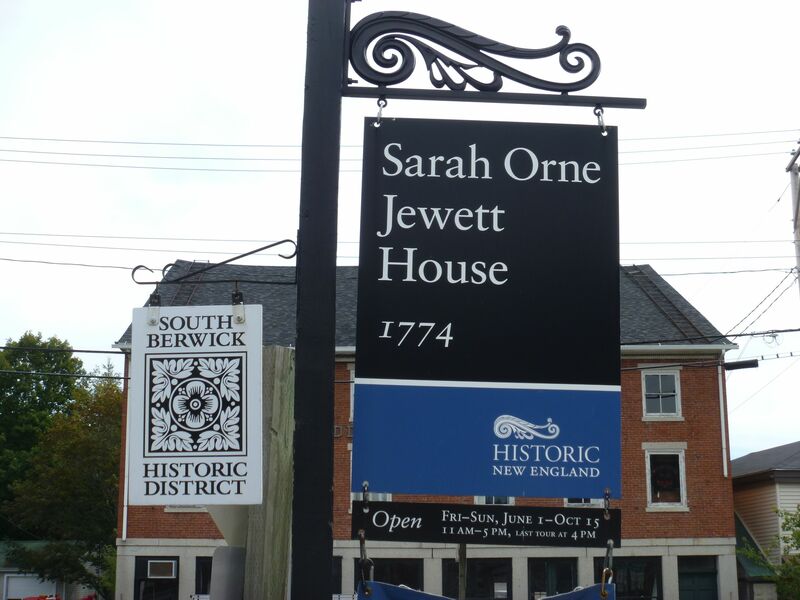 Sarah Orne Jewett (1849-1909) lived much of her life in the town of South Berwick, Maine. She was born in this house at 5, Portland Street when it belonged to her shipbuilding grandfather but soon the family built a home of their own next door (now the town’s public library). Sarah and her sister moved back to the original house in 1887. 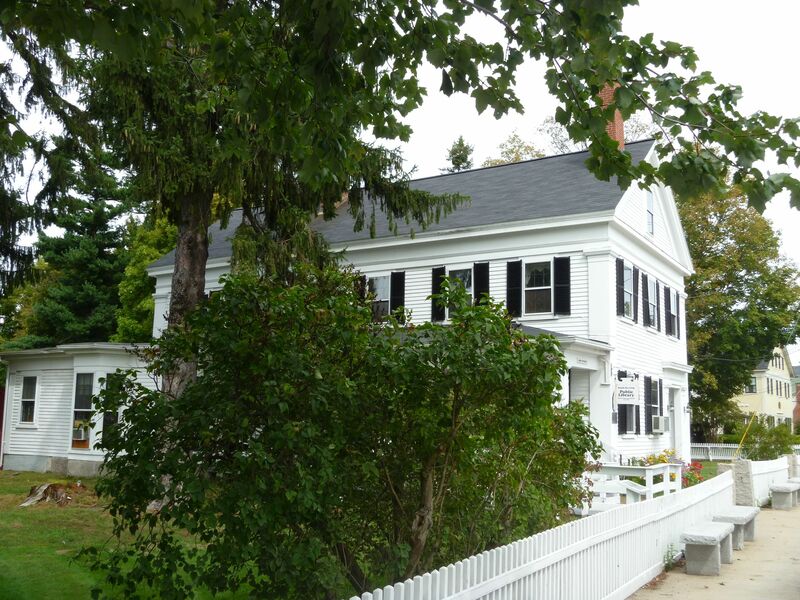 She spent much of her time in Boston and travelling but this house was always home. No photography is allowed in the house but it was fascinating to see the decor is still the same as Sarah and her sister Mary chose for it. Following their deaths a lot of the furniture was distributed to members of the family but Historic New England have bought back many original pieces at auction. Having discovered the existence of the house I was anxious to read one of her books in advance of my visit. I chose a good one! A Country Doctor was first published in 1884. 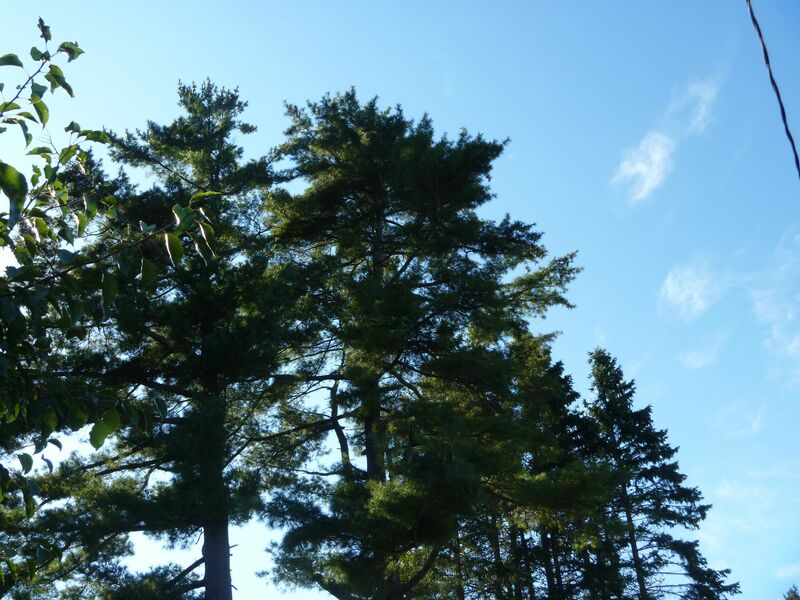 Like most of Jewett’s writing it is concerned with the everyday lives of the people living in the countryside of Maine. In particular Doctor Leslie is based on her beloved father, Dr Jewett. My friend Marion kindly gave me an illustrated copy of what is probably Jewett’s best known work The Country of The Pointed Firs. 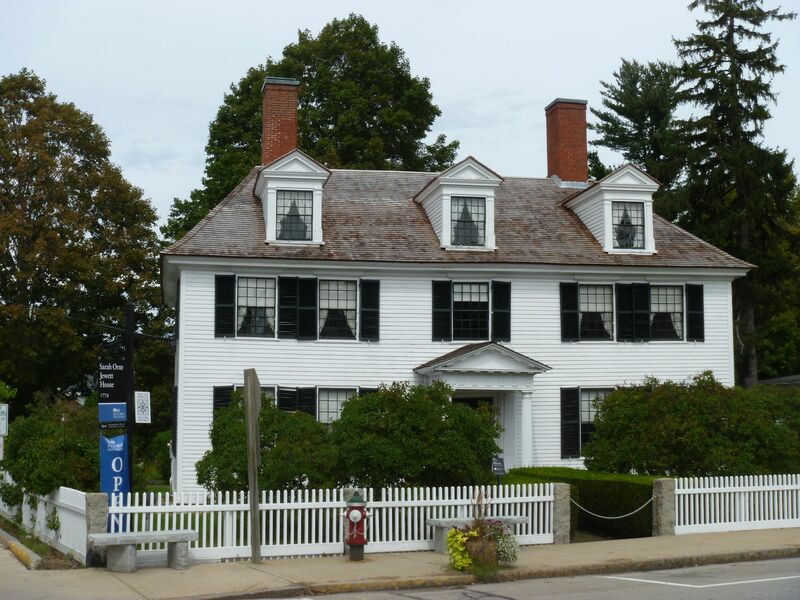 Her (Jewett’s) Deephaven is still in print in the USA and is set in the coastal Maine area around Ogunquit. Her books (those still in print) and other related works are available in the shop (where photography was allowed!). 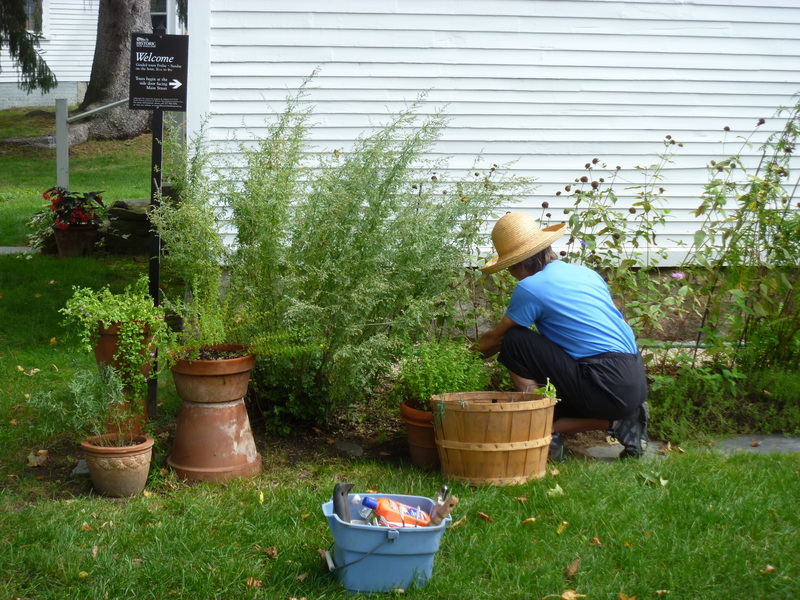 There is a small garden around the house where today a gardener still carefully tends many of the herbs of the types that the Jewett sisters grew there during the nineteenth century. 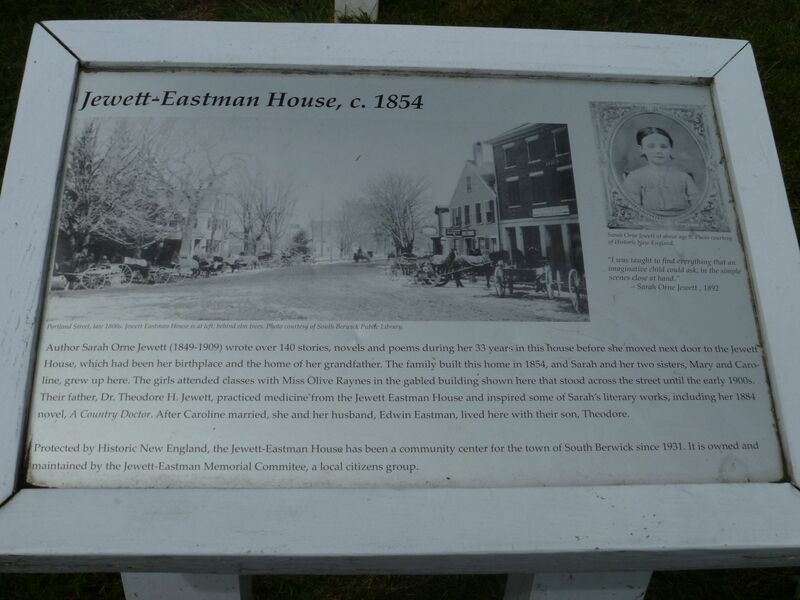 On my way back to Ogunquit I sought out Sarah Orne Jewett’s grave on Agamenticus Road just outside South Berwick. I had been given instructions as to where to find it by the guide at the house. I expected a well-tended grave and was sorry that I hadn’t brought my own flowers. The tombstone was just about legible and the area filled with weeds. Sarah lies peacefully surrounded by various relatives including her sister. 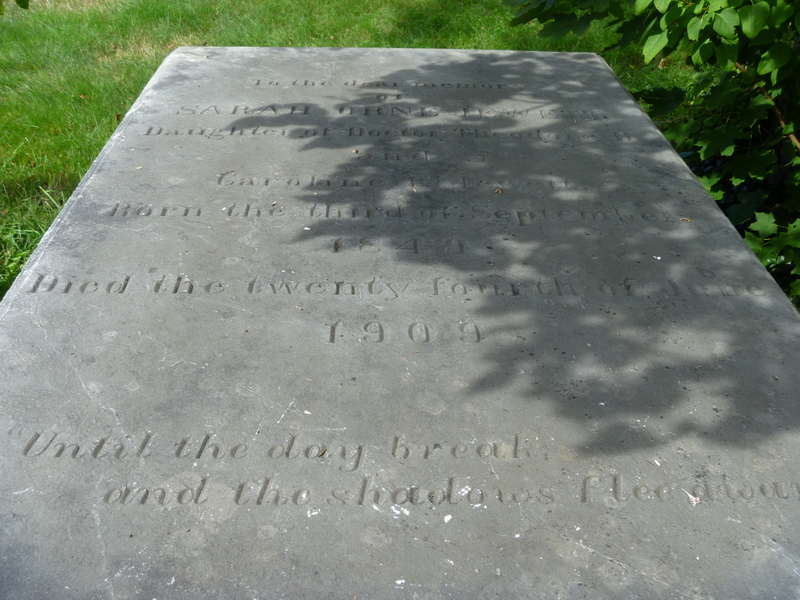 On the following Sunday a special ‘party’ was planned at the house in celebration of her birthday but sadly her grave is rather a forgotten memorial. 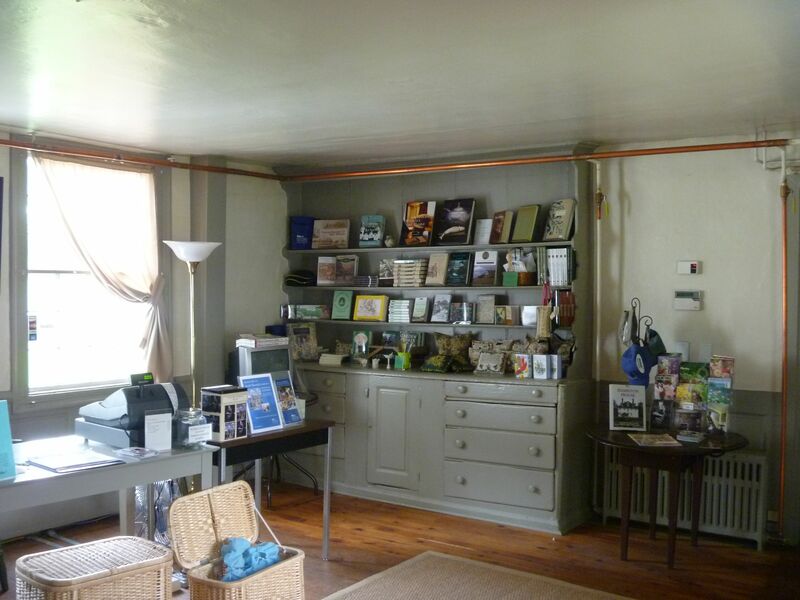 This entry was posted in Milady reads, Milady ventures overseas and tagged Books, Gardens, Historic Houses, Historic New England, New England, Writers' Homes. I must CONFESS I have never heard of this author … but I ‘ve enjoyed this visit with you and can understand your point of view. No daily posts at my end any more either! But writing it has given me so much over the last 5 years Barbara.. I look at everything I see with different eyes, not just mine, and how brilliant to share your literary and I hope reading travels in this way. It means I can travel from my arm chair! Could you nip over to Edith Wharton’s place sometime?? I’ve always wanted to see The Mount:-) oh yes and were your ears burning nicely yesterday?? I met up with Carol N as she passed through and your name came up! Oh, Lynne, I would just love to visit The Mount someday! On our last few visits to New England though, we’ve stayed by the coast. Lenox is right the other end of Massachusetts. I have a collection of newspaper cuttings somewhere – I believe her library has travelled twice across the Atlantic. Ah! So that was the cause of my itchy ears 😉 . I know just what you mean about different eyes too! I think I worked my way through about 20 posts on Googlereader when I got back from my hols but that probably included some of August.